With Cars 3 being released on digital today, we are sharing a recent interview we did with Cars Creative Director Jay Ward and legendary crew chief Ray Evernham. Laughing Place: Congratulations on the success of Cars 3. Why don’t we start with Ray — Someone who has a long history and successful legacy with the sport, what’s your perspective on the Cars franchise? Ray Evernham: I think the overall franchise is amazing because I love cars. I love all types of cars, so certainly from a NASCAR and racing perspective, they tell a great story about competition and what not and our history through Cars 3. But more so through the Cars franchise, they’re introducing younger people and older people, as well, to emotion and how emotion surrounds cars. And intertwined in there is always a good story. So as a dad who loves cars and wants my kids to love and appreciate cars, I can enjoy that with them and also have them pick up a good message. 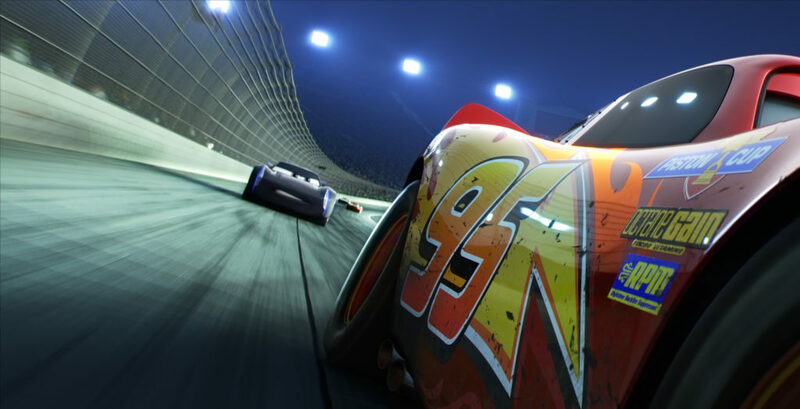 And through each and every Cars movie, and especially this movie, being about never giving up, don’t let someone put you in a box, you know, keep trying, as well as, what they learned with Lightning McQueen. What Lightning taught us is that without the feeling of emotion and the friends and the relationships and then giving back to this world, ultimately everything else you get is just stuff. The trophies and awards and all those things don’t matter if you can’t share that and So those are messages I want my kids to know, as well as the competitive side of NASCAR. LP: And then as someone who has had great success, what does it mean to actually be a part of a Pixar animated film? RE: I think it was great. I mean, I loved it. In fact, I think maybe Jackson Storm’s crew chief, who just actually happened to be the fastest car on the race track was fine with me. But it’s really, as I said, I’ve been a very blessed person because I’ve been able to work on cars and make cars go fast. And you get to end up doing something like this and never really could have imagined. I can tell you that this story and being part of this film has resonated more with my kids and all my friends’ kids than anything else I’ve ever done in my career. LP: And Jay, you’ve been involved in the Cars franchise for forever. But each of the three films has a very distinct vision. It’s not just a, for lack of a better word, retread. What do you think Cars 3 brings to the overall Cars story? Jay Ward: Well, I think you’re right. Every story is unique. We always want to tell a unique story. And obviously, we did have a pretty high bar with Cars and Cars 2 to try to figure out what we’re gonna tell this time. And our director, Brian Fee, right away knew he wanted to tell a more emotional story, right. I think really great Pixar films have an emotional core to them. And to me, it’s the most emotional of the three. And we started down the road of McQueen and the comeback story, people sort of equivocated it like a Rocky sort of comeback story. But what we found along the way was the mentorship and the pain that Ford had so much more depth to it that when we got into McQueen’s relationship with Cruz, that’s where it really had heart and emotion. And so we sort of do a turn in the film. And I think that’s what makes this film so special is the big message is, “Don’t judge a book by its cover,” which McQueen made that mistake with Doc in the first film. In this one, we see this character who’s had a lot of chips stacked against her, but she managed to follow her dreams with McQueen’s help. And it’s pretty amazing. LP: Now, you obviously have a long history with Cars and racing and bringing that into the films. 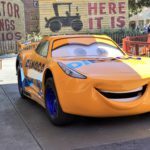 Is there any sort of hidden details in Cars 3 that you think racing fans would really sort of get a kick out of? JW: Absolutely. I think this trip, one of the first things we did coming back to this area, to Charlotte, I mean, honestly, this is the home and the heart and the roots of NASCAR right here where we’re sitting right now. And Ray, actually, was one of the early people that we met that gave us a tour of Hendrick Motors. So we were kind of talking just a little bit about these characters. And we were touching on things, I mean, again, Brian was trying to figure out, all right. Who did Doc run with back in the day when he was a young car? We know he says he had a wreck in ’53. But back in ’54, they’d moved on. And so we thought, “Okay, who did Doc run with back in the day?” And we found, basing it on real characters in the history of NASCAR was so much more interesting than anything we could have made up. Honestly, the stuff we found here that … The old saying, “Truth is stranger than fiction,” is so true, especially in NASCAR. There are so many amazing stories and personalities that you could not make it up. And so just getting a drop of that in this film was amazing to do. LP: I can speak personally, as someone who didn’t know racing before the build-up to this film, reading the history really got me interested in the sport and I started watching it on TV. So it’s a neat gateway into auto racing for those that might not be as culturally exposed to it. Ray, as someone who has a long history with the sport, did bringing that sort of classic, old NASCAR auto racing history into the film resonate with you as well? RE: Yeah. I’m sitting here thinking about the importance of it. Because something in that film triggered you to care the history of our sport. And I think that’s what I find interesting that they can do with characters being able to get you interested to do some research on your own and follow the sport to what it is today. So we’re very fortunate in our sport that a lot of our legends are still accessible and the stories are coming first-hand and first-person. And for Pixar to be able to tell those and get them on screen to interest people who haven’t watched NASCAR, to me, it’s just amazing and very important to our NASCAR world. 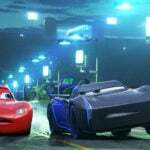 LP: So in the end, if you had to say one thing that you hope moviegoers take away from Cars 3, what would you hope it is? 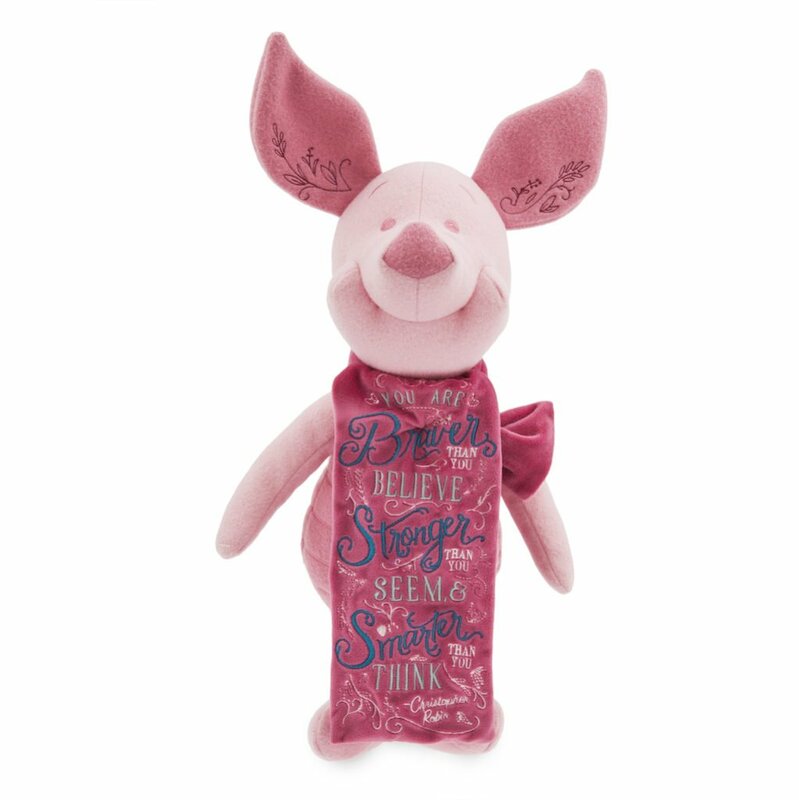 JW: The thing to take away from it to pursue your dreams, to follow what you want to do, to not take no for an answer, to believe in yourself, and to find the people around you that will support you and help you achieve those dreams, as well. I think that’s kind of what the beautiful ending to the film is. It’s that relationship, like I said, with Cruz and McQueen and him seeing her potential, that she had basically self-limited. She told herself she wasn’t good enough to be there. And he said, “No, you really are good enough.” And I think a lot of people need to hear that message. We go through life and we tend to be pretty negative about ourselves. A lot of people don’t believe in themselves. And honestly, the difference between success and failure often is just believing in yourself. Really, not taking no for an answer and pursuing things. That’s where the success comes. RE: I agree with Jay 100%. And from a dad’s perspective, having my kids know that it’s okay to look to the past to help find the future. And that you should never give up. And if you do achieve that level of success, that you do have some responsibility to help the next person achieve theirs. And as Lightning McQueen found out, understand that the success is those relationships. It is the time that you share with people. Because in the end, the trophies are just plastic and metal, but the relationships and the emotion that you experience being part of a group of other people stays forever. 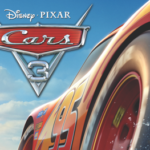 Disney-Pixar’s Cars 3 is now available in digital HD.